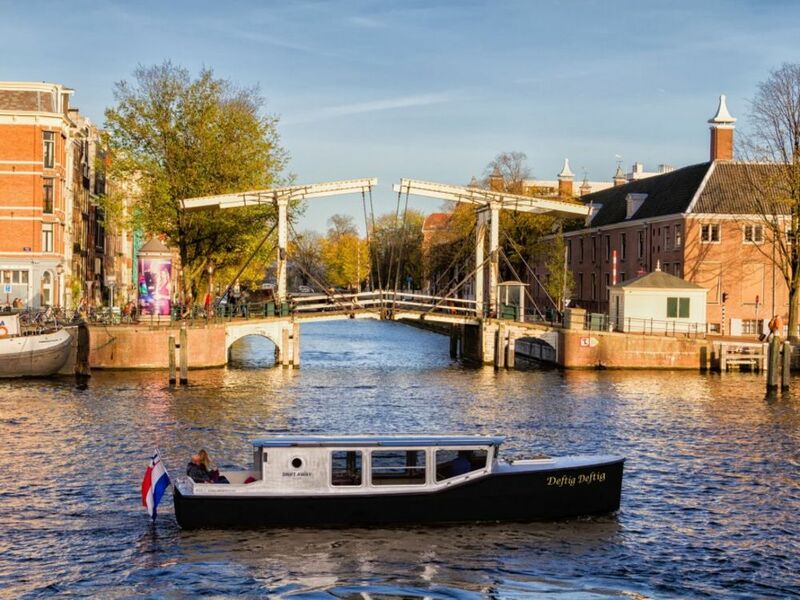 Enjoy your friends, family, colleagues or business partners of Amsterdam canals. 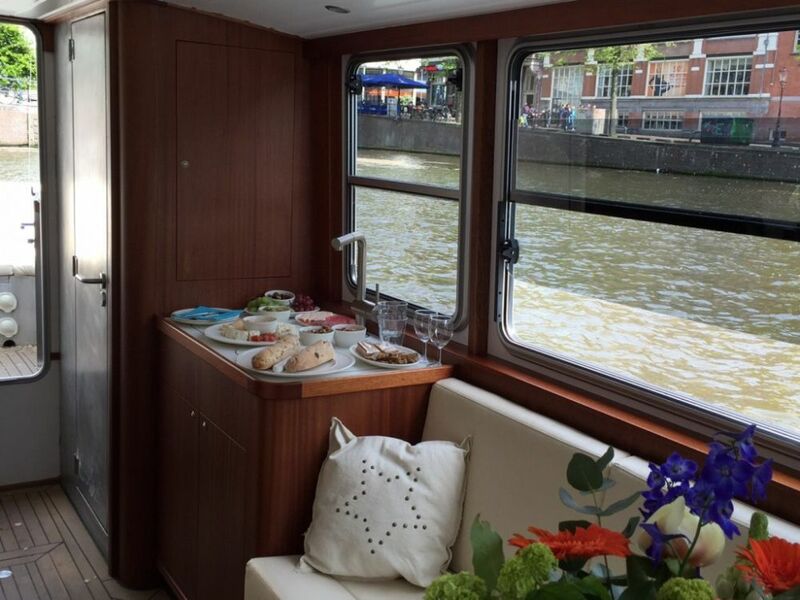 With the KIN8 Salon you can rent a boat in Amsterdam for 8 people. Things in the KIN8 Salon are like sailing without sailing: whispering and without the noise and the stench of a diesel engine. 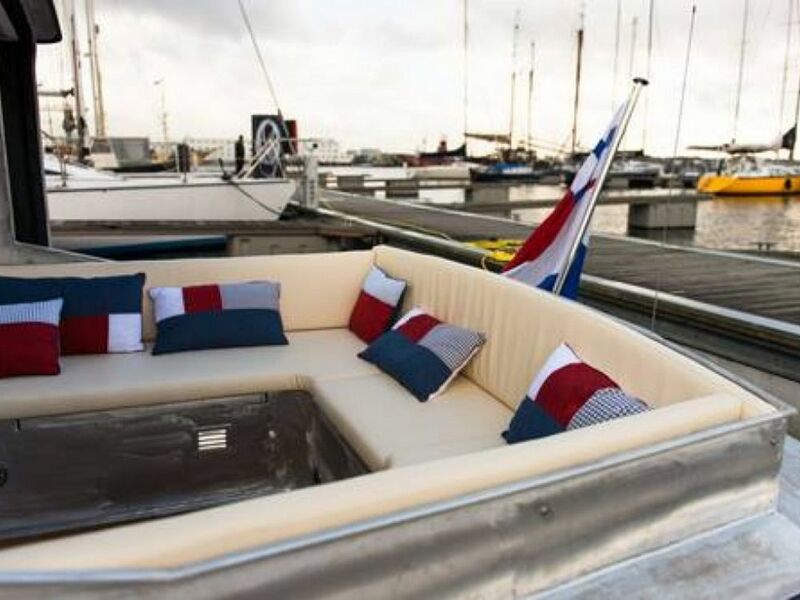 This luxury saloon boat is 99% self-sufficient. The KIN Salon seats up to 8 people, excluding our KINschipper. We also provide you with a skipper. Do you want to sail yourself? Then this is also possible in consultation. 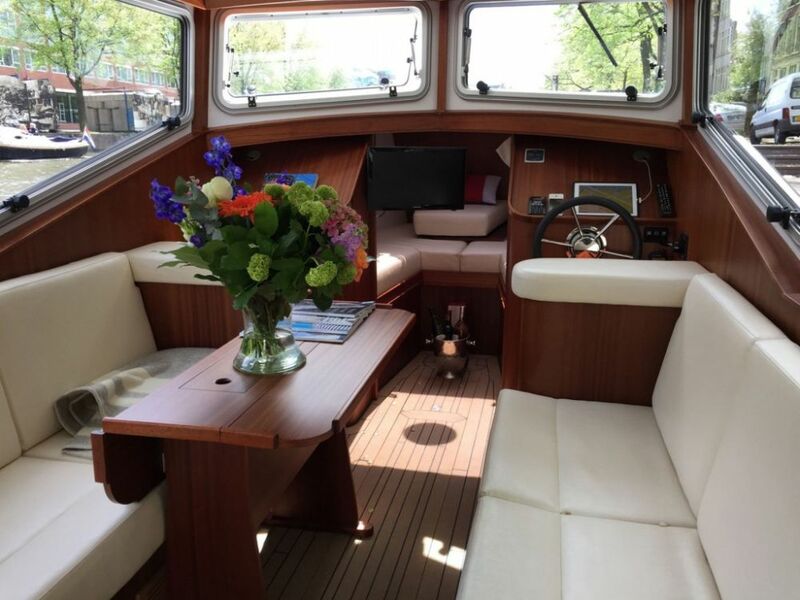 The advantage of this saloon boat is that you can sit outside and inside. We also offer various arrangements for boarding. 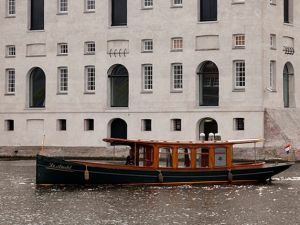 Optimally enjoy the canal belt on a sloop in Amsterdam!